Be The First to Review the Harborside Half Marathon! The Harborside Half Marathon is a Running race in Newburyport, Massachusetts consisting of a Half Marathon. November Half Marathon: Here's a great reason to continue your training in the later Fall season. Awesome Finish & After-Race Party. Get ready for a spectacular finish right on the harborfront and the mighty Merrimack River. This is a beautiful course with a rather boring start. What can I say? The race starts by the huge windmill in the Industrial Park on Parker Street. For about a mile you run on flat, wide and easy roads through the Industrial Park - which is not all that bad... Then you head on into some of the prettiest roads in Newbury. 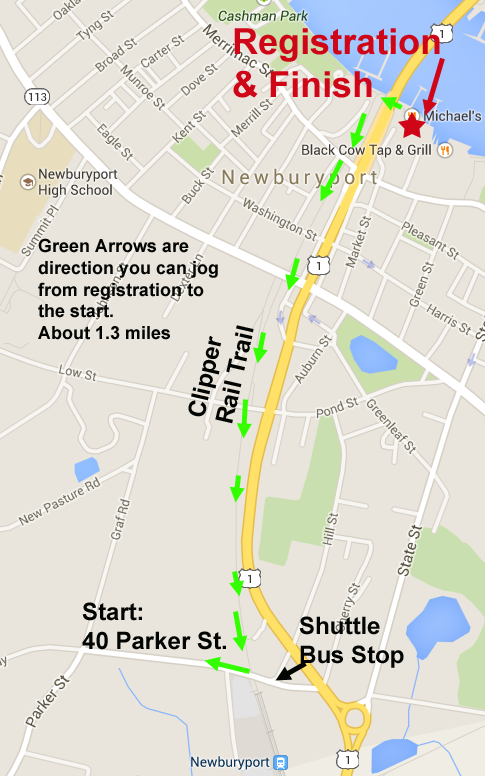 The course itself is a lollipop loop - a rural, beautifulKeep Reading 5 mile single-loop through Newbury. Great views of fields, salt marsh preserve and country roads abound along this loop. From Mile 4 to 6 on your right is a very large nature area called the Martin H.Burns Wildlife Management area. harborsidehalf.com	View Course Map	Incorrect Race Info/Update Race Details?